In the YouTube video above a new 3DS game called. “ Blood Stained Curse of the Moon” is announced. This game is releasing on May 24th 2018 on the Nintendo 3DS and many other video game consoles. 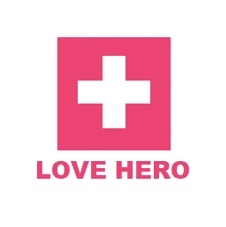 This game is being financed via a Kickstarter campaign in collaboration with Inti creates . Koji Igarashi is the creator of the game and he directed the previous game “Castlevania: Symphony of the Night” and was the director of the Castlevania games for several years when he worked for Konami . At this time we do not know if this game will use the stereoscopic 3D element of the Nintendo 3DS hardware. The information below is the official introduction for the game from their official website. The developer has delayed the game until May 31st 2018. – In the Shin Megami Tensei: Strange Journey Redux game, you play as a brave United Nations soldier investigating a spatial anomaly called the Schwarzwelt – a dome of dark energy that threatens to consume the world. Inside, you’ll find it home to a nightmare mirror of our own Earth, populated with demons dying to meet you. Shin Megami Tensei: Strange Journey Redux is available May 15. – As a team, defend a post-apocalyptic Wild West from an invasion of transforming rock monsters with Dillon the armadillo and his squirrel engineer, Russ. You can even put yourself in the game and battle alongside Dillon and Russ as an animal version of your Mii character. Recruit hired gunners to back you up in battle, and then roll into fights and high-speed chases to take down waves of enemies as Dillon, the “Red Flash” himself! In UP UP BOT help your robot friend climb the platforms by tapping the screen. Be careful and watch out for bad robots trying to stop you from progressing even higher. Endless fun for everyone! – Battle Chasers: Nightwar is an RPG inspired by the console genre greats, featuring deep dungeon diving and turn-based combat presented in classic JRPG format, and a rich story driven by exploration of the world. Build your adventuring party by choosing three of six available heroes from the famed Battle Chasers comic series, each with unique abilities, perks, items and dungeon skills. Battle Chasers: Nightwar is available on May 15. 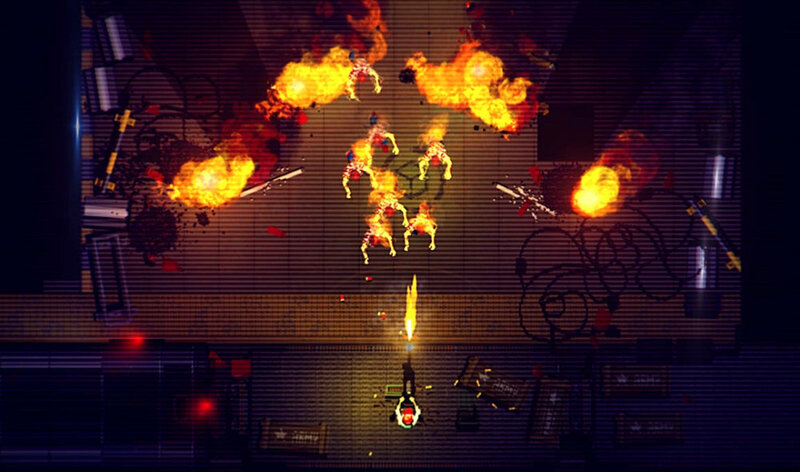 – Garage is a shooter in the style of an ’80s B-movie. Explore every dark corner of an underground parking garage and discover a passageway to a supernatural world that has never seen the light of day. Find new weapons and master them to survive. Solve the mystery of this cursed place and the creatures that inhabit it. Fighting superstars from around the world share one thing in common: extendable arms! Fight as never before with this free demo. Pick from a selection of characters equipped with super-powered arms, and use simple motion or button controls to dish out highly strategic beatdowns in select stages of the single-player campaign or even in one-on-one matches. Earn My Nintendo Platinum Points with Donkey Kong Country: Tropical Freeze – My Nintendo members can earn 100 Platinum Points by finding the hidden K-O-N-G letters on the game website. In addition, members can also redeem their points for new Donkey Kong digital wallpapers for their PC or mobile devices. Check out My Nintendo news for more information. Nintendo Labo Creators Contest for Best Decorated Toy-Con ends soon—enter today! – Make, play, and discover with Nintendo Labo! 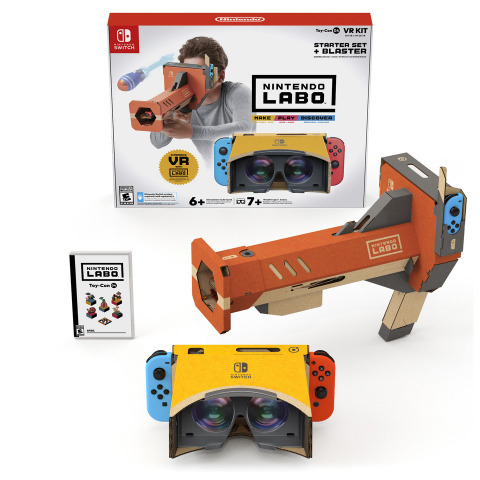 Create your masterpiece using a Nintendo Labo kit and a Nintendo Switch system, then post a video or picture of your creation to the My Nintendo – Nintendo Labo Creators Contest sitefor a chance to win some great prizes. * The “Best Decorated Toy-Con” contest ends on 10:59 a.m. PT on May 11, so act fast! Are you curious about what other My Nintendo members have made so far? Check out them out here, and be sure to click the “Like” button for your favorite creations! Fire Emblem Heroes Version 2.5.0 Update – The new update to the Fire Emblem Heroes mobile game adds many new features, including updates to the Arena, tutorial improvements and new Heroes. Check out all the details about everything included in the new update here. 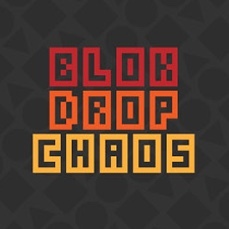 In BLOK DROP CHAOS you must act quick to catch the fallen blocks. Collect the correct number of blocks and advance to the next level. Endless fun for everyone! – The Enter the Gungeon game is a dungeon crawler that follows a band of misfits seeking to shoot, loot, dodge roll and table flip their way to personal absolution by reaching the legendary Gungeon’s ultimate treasure: the gun that can kill the past. – Explore huge, beautiful worlds, meet (and beat) an unforgettable cast of characters and horde a vault-load of shiny collectibles as buddy-duo Yooka (the green one) and Laylee (the wisecracking bat with the big nose). Embark on an epic adventure to thwart corporate creep Capital B and his devious scheme to absorb all the world’s books ... and convert them into pure profit! – Sit upon the throne of the Varennes Empire and control several generations of rulers in a valiant battle against the Seven Heroes. A dynamic freeform scenario system – a hallmark of the SaGa RPG series – enables you to take command of a variety of protagonists along the line of imperial succession and experience the history of a nation as it grows and changes based on your actions. The Romancing SaGa 2 game is available on Dec. 15.